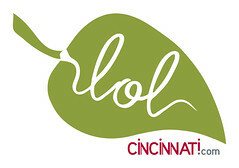 Due to my current inability to keep up with the myriad of wine events in this city, I’ve temporarily switched to using LocalWineEvents.com. If you are a retailer or an event host, you can easily go over to LocalWineEvents.com and enter your tasting or event. One-time events are free for submission and recurring events have a small price tag. Before you get all up in arms, I see none of this money. I’m using their widget because, for the moment, it makes things easier for me and this site remains up to date. For consumers, you may notice with recurring events that tastings in KY are mostly free, and the tastings in Ohio charge at least .25. It’s illegal for a retailer to give alcohol away in Ohio, so they charge you, but many times it’s a nominal fee. Tell them we sent you, and happy tasting!